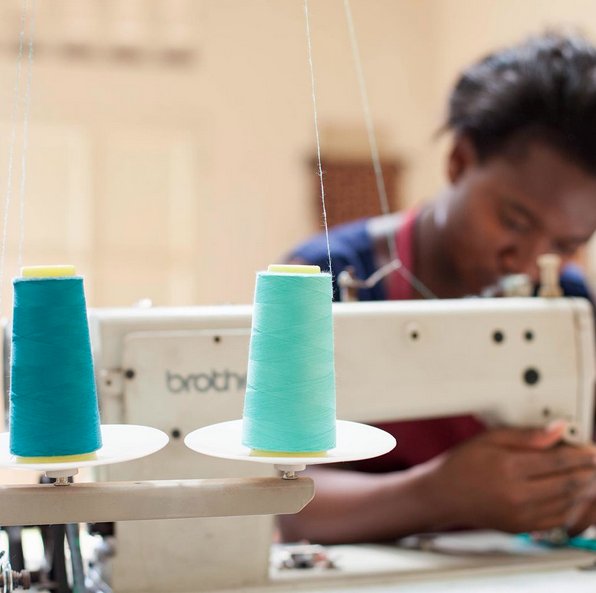 Ethical fashion brand Sseko Designs was born when a 22-year-old from Missouri decided to quit her corporate job and move to Uganda. 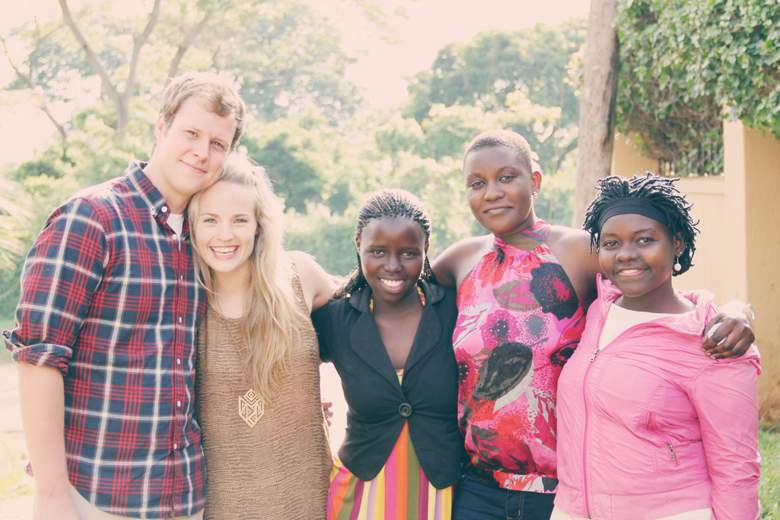 Fresh out of college, Liz Forkin Bohannon left for Africa as a curious journalist and returned to America as an impassioned entrepreneur—set on using fashion to empower and educate young Ugandan women. I had the privilege of spending time with Liz and Ben, her husband and co-founder, this summer, learning from them about social enterprise in fashion. While their high-quality shoe and accessory brand had impressed me from afar (as they’ve maybe impressed you with their appearances in everything from Shark Tank to Vogue), interacting with them in person only made my respect for these two visionaries grow. I sat down with Ben and Liz in their Portland office to talk about anti-fashion, gender equality and supply-chain gray areas. What were the first steps to starting Sseko? Liz: The very first step was saying, “I care about gender equality. I’m going to go to a place where I can learn with open hands about that.” That set the tone for what Sseko became. I feel like you see a lot of people who come to a new place with a preconceived notion of what’s needed. It can become tunnel vision and they end up creating something that doesn’t work for the community. But by that point they’re so invested in this idea that the stakes are really high. So I think just going and saying, “My agenda is to listen and learn and absorb” was step one. You could’ve started any kind of business in East Africa to help fill the gap you saw. Why did you choose a fashion enterprise? Liz: The first thought was a more traditional aid sponsorship model. 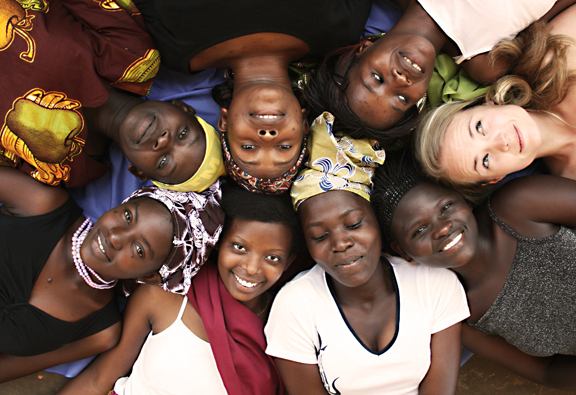 Poor girls in Africa have to go to college; what do we do? Get rich people to fund them, duh. But living in Uganda, I started seeing the unintended side effects of charity and aid. I don’t know what the statistics are, but it sometimes feels like there are more non-profits than businesses in Uganda. Side effects were exaggerated because the volume is so great. It felt like there was a really distinct lack of cross-cultural relationships that had that dynamic. I wanted to build something where we would call each other to higher standards and set goals for ourselves together. So it was twofold. There was the development side of thinking about the economics of aid vs. the private sector, and then there was the more relational side of mutually beneficial relationships. Fashion was not a motivation. If I’m being really honest, I feel like it was probably the Lord serving me a big ol’ slice of humble pie. Because I hated fashion in college. I literally voiced the words, “If you care about fashion, you’re materialistic, you’re vain, you don’t care about labor conditions…” I was very anti-anything that could be considered the Man. And for me, fashion was the ultimate frivolous pursuit. It was a super prideful, narrow-minded view of the world, but I really believed it. I think the fact that we now run a fashion business partly served to help me recognize that the world isn’t always black and white. In most everything, there’s an opportunity for redemption. Ben: When Liz landed on sandals it was a pretty big surprise to both of us. For us, it was born out of the vision of figuring out how we could help young women go to college. The means were less of a concern. We just found something we could do. Now we’ve learned the beauty of it. We’ve found an incredible creative community behind it, and it’s been fun to be a part of that. It’s been interesting to lead a dialogue around ethical fashion. It’s landed us in a place we want to be, but definitely not what we would have chosen to start off. What does it look like for a company like Sseko to be competing with fast fashion in terms of the prices and the turnaround time? Ben: We’re trying to create a new narrative. It’s incredibly challenging to change consumer behavior, and in most of the West, there are great incentives for fast and cheap. We all live into that. It’s a huge experiment: If we provide the medium and the opportunity, will people change their behavior? I think people genuinely want to know if their clothes are contributing to slave labor. But they also need to be given a pretty simple opportunity to take action. So we insert ourselves into the market. We try to make it easy to find us. We try to make our price points accessible. We didn’t want to make ethical fashion the next luxury commodity. It still might be a piece you invest in, but we’re also making it with such quality that you’ll carry that bag for the next ten years. How do you make sure that all of your materials are ethically sourced? Liz: That is a huge part of our job, and it’s also one of the hardest parts. The ethical supply chain conversation is, in a lot of ways, really gray. You can say, “Let’s shut down every factory that doesn’t meet our American labor standards.” But then you have to ask, “Are we expecting developing economies to leapfrog over decades of development to get to our current standards?” What are the economic ramifications of that? Is having a job at a factory that doesn’t meet our standards better than the alternative, which might be nothing? That’s just one example of where it gets sticky. Our job as leaders is to constantly be making the decision to balance. There are times we say, “The overall good of this outweighs the potential that we don’t have visibility about where this specific piece of hardware is being made. And we don’t have the resources to figure that out right now.” That specific part represents less than 1% of our overall product, but it’s still a decision. I’m ok with saying that the decision we make today based on our current resources will hopefully be different than the decisions we make ten years from now. When you’re a tiny brand and people in your supply chain are also working with bigger companies that don’t care about ethics, it’s tough. We’ve tried to build relationships so we have a little bit more voice than we otherwise would. Our suppliers feel bought into the mission, and so they’re willing to make changes or make sacrifices to their bottom line to help meet us in the middle. It’s a balance. 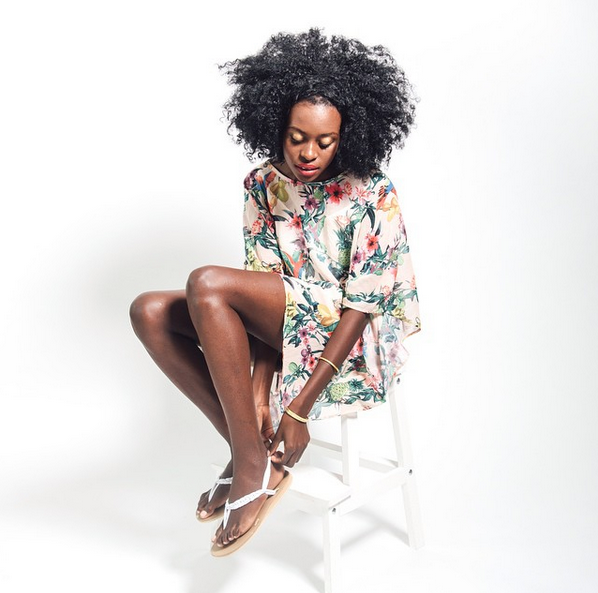 What is Sseko doing that’s different from other ethical fashion brands? Ben: We were committed from day one to baking our impact into our DNA. So from the day we turned the lights on, we were creating impact in Uganda. What we said we wouldn’t do was make stuff and sell it, and if it was super successful then we’d give money away. If impact was going to happen, it was going to happen from the beginning. So we’ve already paid our women and given scholarships, and they’re already in college, before the sandals they made are sold. We’re footing that bill as a company because that’s what we care about. Liz: I would like to believe that Sseko is doing something really unique in how we treat our producers and our consumers. A lot of ethical brands are built entirely around their producers. They tend to not be as focused on product and to neglect the needs of their customer. Then you have more traditional brands that do the opposite: it’s all about you, what you want to look like, what’s on trend. Sseko is doing something unique in trying to de-dichotomize that. If we’re about bravery and dignity and risk-taking and beauty-seeking, that means we’re about that for our producers and for our consumers. What it looks like to be brave for a 17-year-old woman who grew up in a war-torn part of Uganda might be different than what it looks like for a 22-year-old woman in upper middle class Minnesota. But we want to celebrate bravery and risk-taking and beauty in both of their stories. Want to learn about more ethical fashion? Check out Unwrinkling profiles on companies like Inkkas, Appalatch, and Akola Project. All photos courtesy Sseko Designs. 4 Responses to "Interview: Ben and Liz Bohannon of Sseko Designs"
Where’s the “like” button? I would click it a number of times throughout this article! A great interview. Thanks for this! This is absolutely incredible. It brings so much joy to my heart to see people using a business rather than just a non-profit to make an impact in people’s lives. Thanks for sharing their story Whitney. I came across this sight while reading on Christian Fashion Week. Never knew it existed. Always wanted to find someone who made clothing specifically for us Christians.